'The many castles of Transylvania' seems to be a very popular subject. And one of the most famous castles is found within the borders of Transylvania. Bran Castle is well known, and there have been countless books written on the subject of Dracula and Bran Castle. 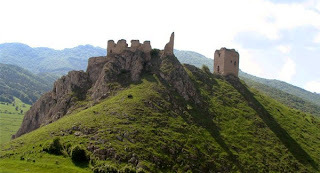 If you intend to publish a book about Transylvania, it might be wise to write about the many castles of Transylvania. The problem is that publishing a book is not that simple. One can spend years writing about the ruins of Alba Iulia and its citadel. That one has a lot of history, and it would be something that people would want to read about. However, there are other castles which are equally as interesting. 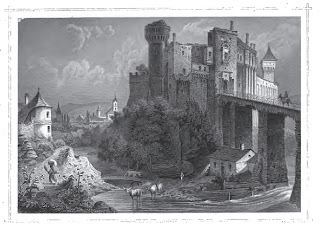 Hunyadi castle has undergone extensive restoration, and one could write about that castle and the family who lived there. There would be a "Dracula" connection, for Hunyadi and the Tepes family were at odds. John Hunyadi also has a connection with Alba Iulia, and in that he was buried there. These are the peoplewho made these castles famous, and "put" Transylvania on the map. Since this time, most tourists associate Transylvania with castles. Plan on writing about castles? I think that you could. After all, it is what Transylvania is famous for and what people seem to think about when looking for information about Transylvania. The thing most people forget is that Transylvania has a much deeper history than that. Many see that it is the people who made the castles and not the other way around. For its castles and many other reasons, Transylvania will always be an important part of Europe.